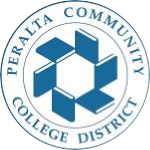 This event is put on in collaboration with every Peralta Campus – Alameda, Merritt, Berkeley, and Laney! From departments to student clubs to individual community members, this has been a team effort. Please join the Peralta Queer Community in solidarity and celebration, for the first ever Peralta Queer Prom! 4:30-8:30pm at the Laney Bistro! Hair and Makeup start at 2:30pm! Attending this event means you are agreeing to abide by the Laney College and Laney Queers Codes of Conduct and keep this a fun and welcoming event for everyone!